I can’t remember – where, when, why? ”I can’t remember- where, when and why?” is a new site specific solo that Lidia created for herself to be a part of the program RoomX that will be presented in different theatre houses in Skåne during 2018. In RoomX 17 different choreographers from the independent dance community in Skåne/Southern Sweden present themselves as dance artists and what artistic practice they represent. 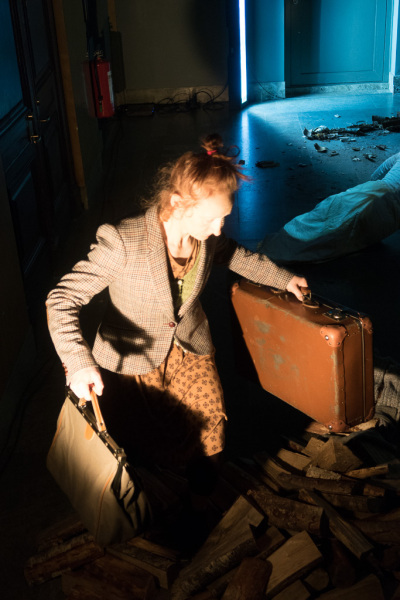 The piece Lidia created – ”I can’t remember – where, when and why?” – consists of three different solos placed in different parts of the theatre building. The theme for the solo is a women lost in the world trying to find a place where she can feel safe and at home. The premiere of RoomX will take place at Palladium in Malmö, Sweden on April 10. Coming dates are May 8th at Ystad Teater and October 12th at Landskrona Teater.